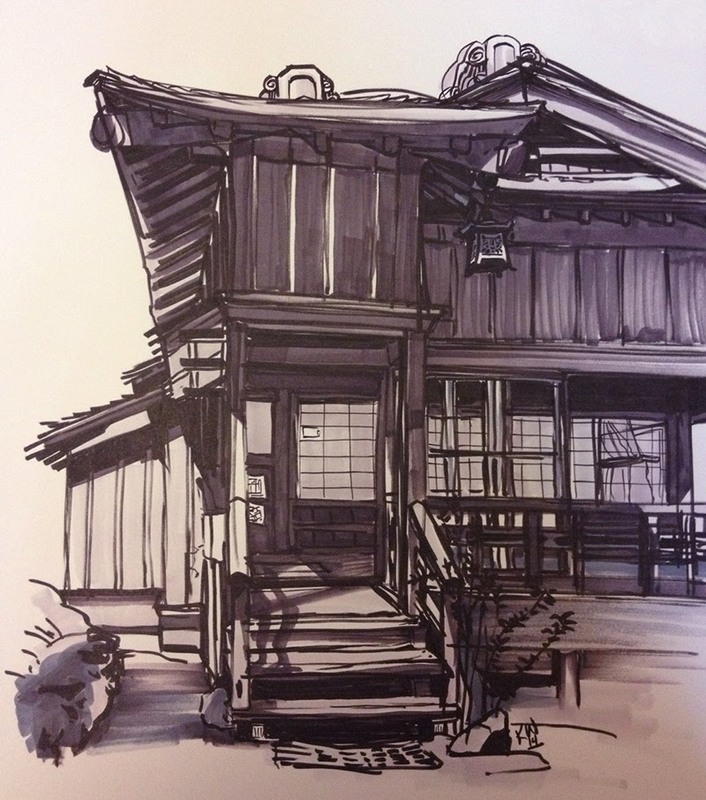 Spent yesterday getting back into the swing of things with watercolors by trying new techniques from Jane Haine's Atmospheric Watercolors book. 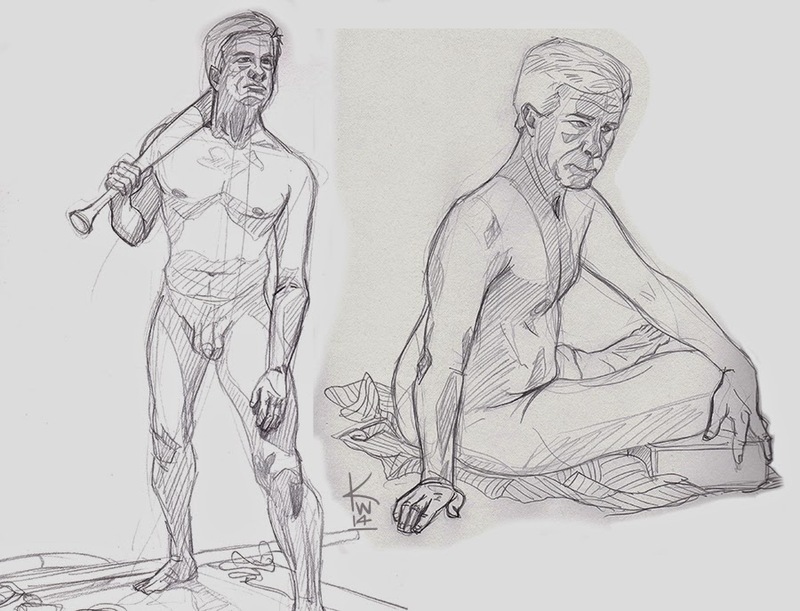 Although neither of these sketches strictly employed the technique from the book, I had fun anyway! The giraffe is actually painted from a David Webb watercolor book (from a painting and photo reference). 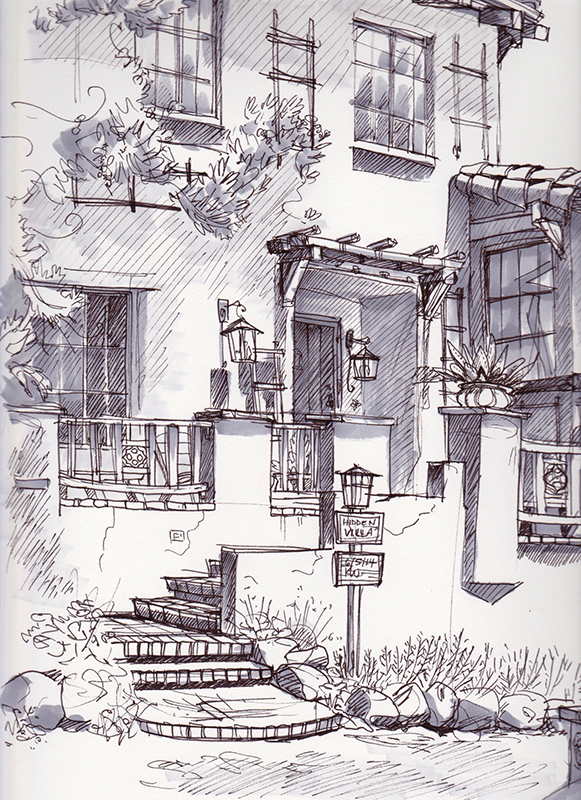 Did some plein air sketches at Hidden Villa in Los Altos. Pretty area! 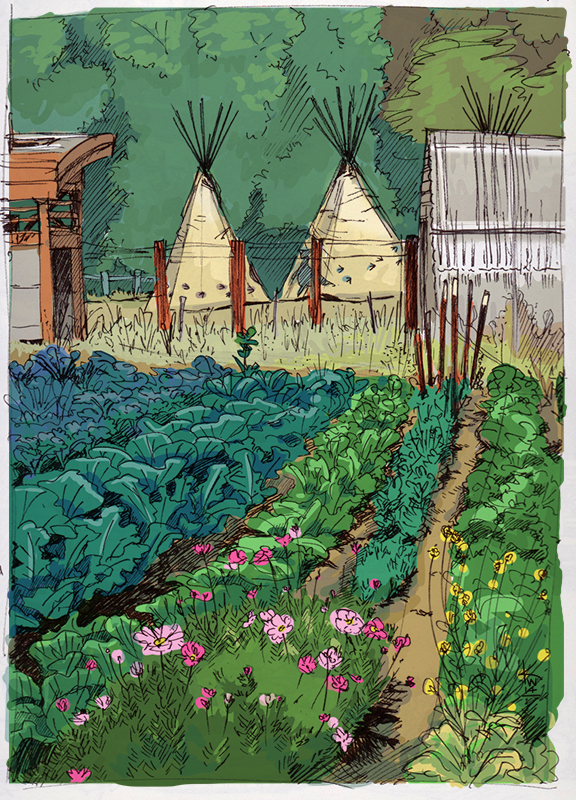 Really wish I had brought my paints, as the colors on the vegetables and houses were fantastic! 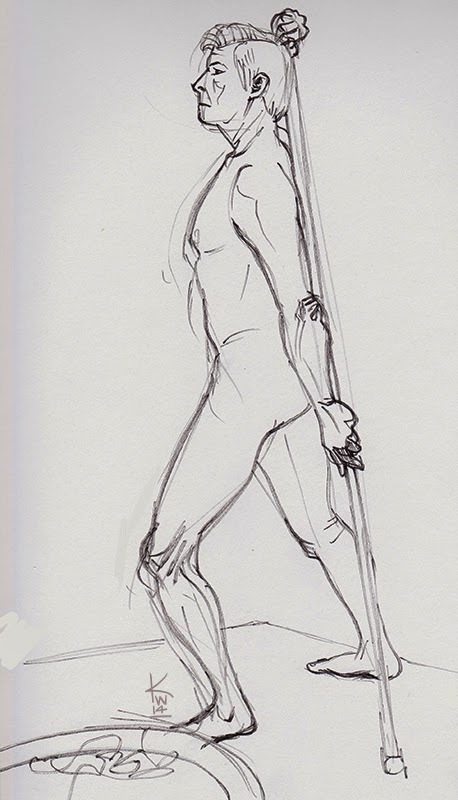 As it is, I just did some pen sketches and then colored the one below in PS afterwards. Blue kale! So yummy! 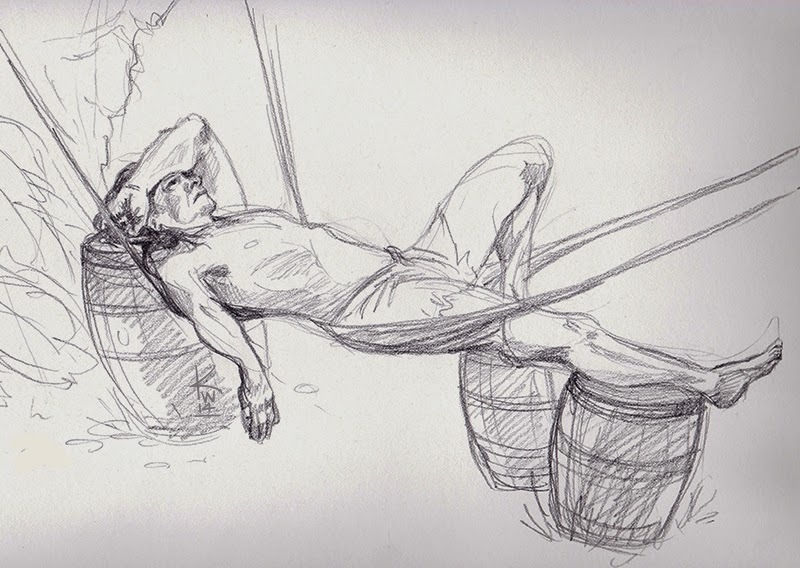 I think the above sketches were 2 mins each? 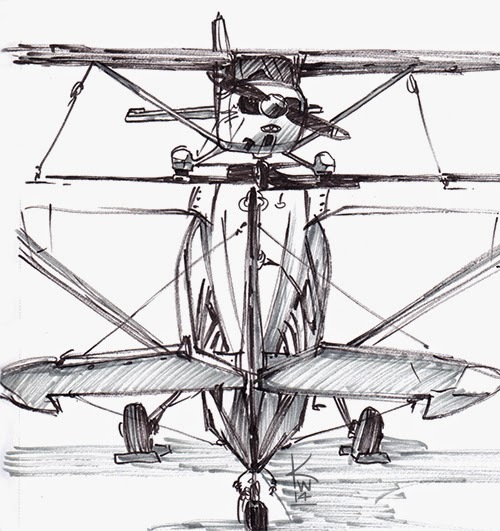 Today I joined the SCWCS Plein Air group for some sketching at Reid Hillview airport down in San Jose. Fun day! 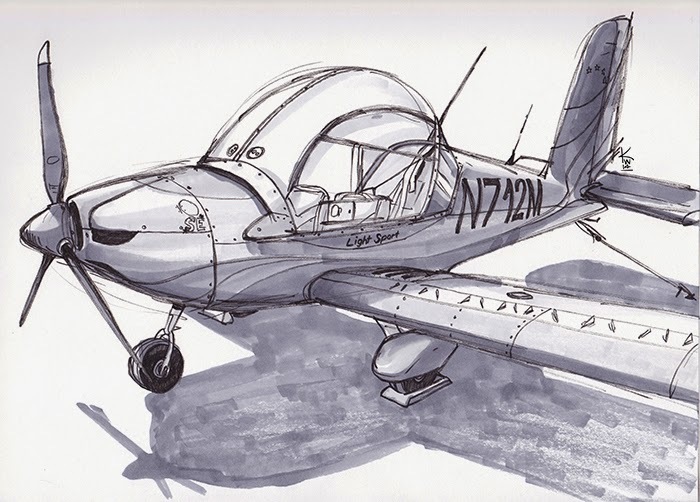 Who knew airplanes are so fun to draw?? 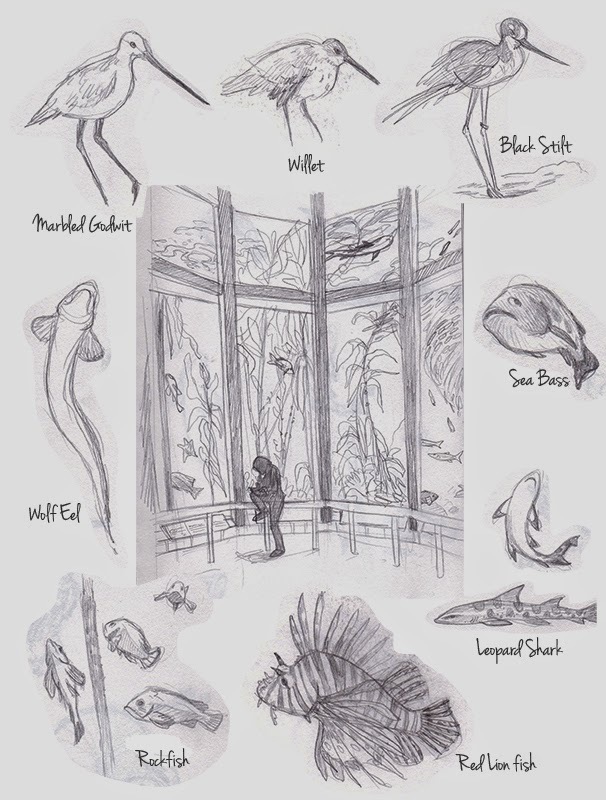 Sketches from the Monterey Bay Aquarium last Friday. Their new Tentacles exhibit is great! 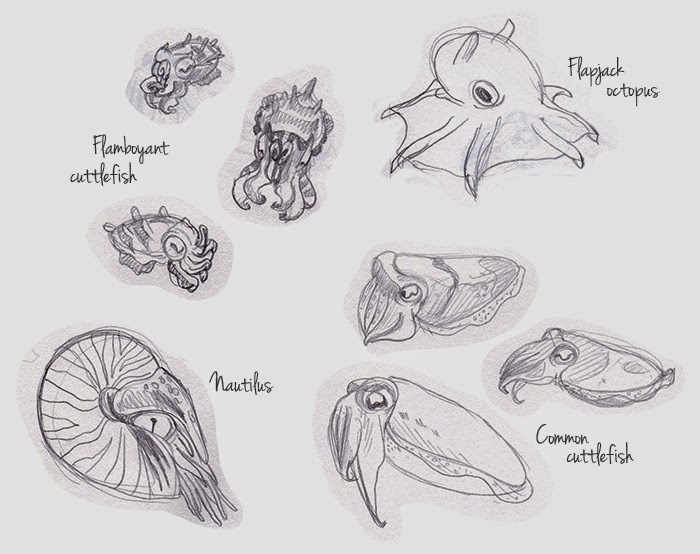 Lots of fantastic cuttlefish in there - I could seriously watch them ALL day. Recently re-reading Song of the Quarkbeast by Jasper Fforde. What a fabulous series the Last Dragonslayer books are! 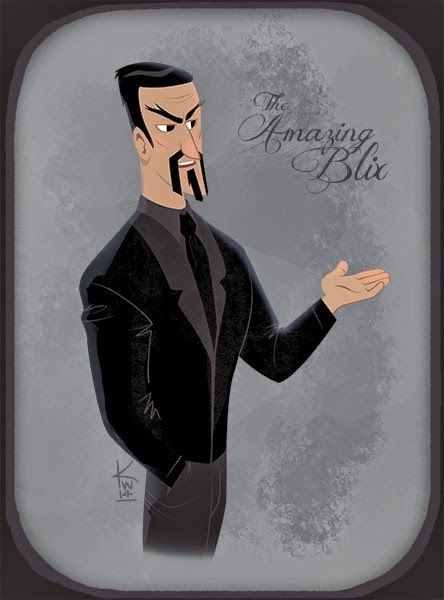 Couldn't resist trying to design some of the characters....here's The Amazing Blix. 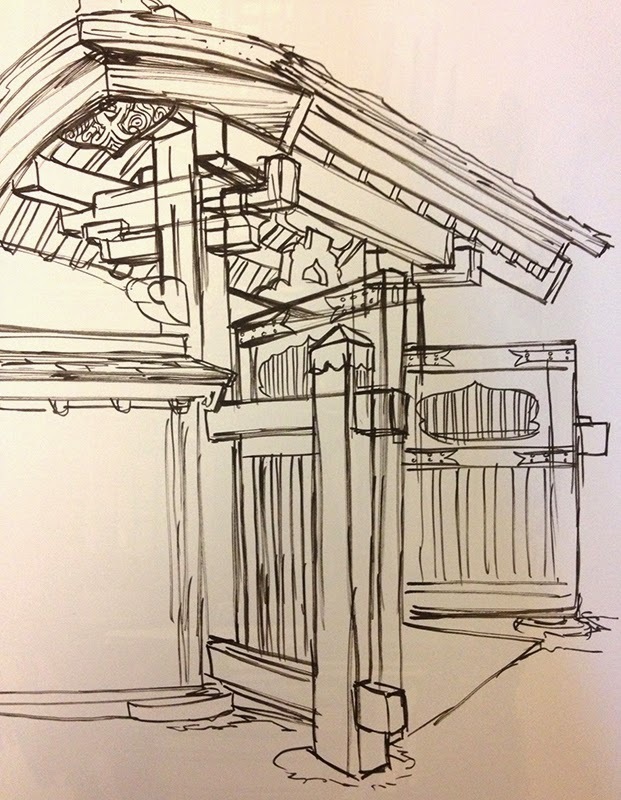 Just did a plein air sketch day at Hakone Gardens down in Saratoga. Fun day and beautiful location! 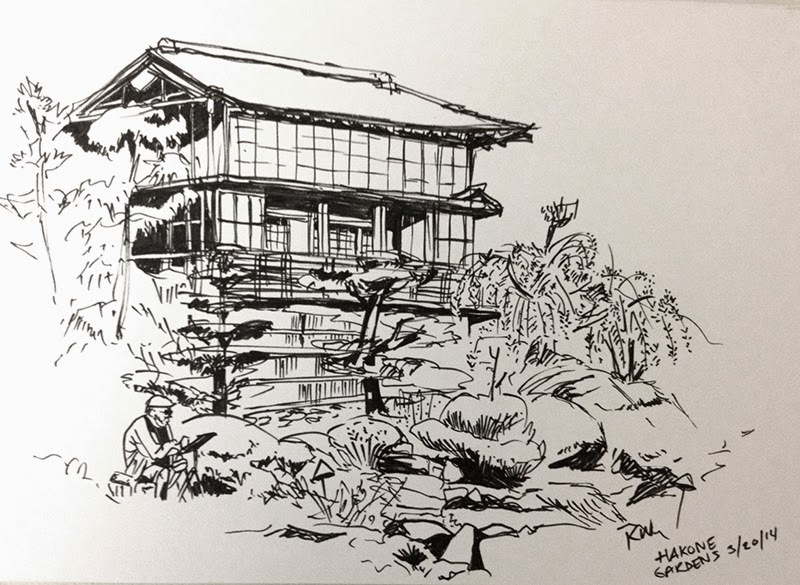 The Cherry trees were in full bloom and there was so much bright foliage to draw....I decided to focus on the buildings instead (because I just can't resist some awesome Japanese architecture).